It’s just no fun to try to navigate around a poorly designed + confusing wedding website. With so much info being online these days, one of the most important planning elements of your wedding will be creating an inviting virtual space where all of the important details of your day can live. And since your wedding styling + design is super important to you, wouldn’t it be great if you could easily design a wedding website that matches the aesthetic of your day? 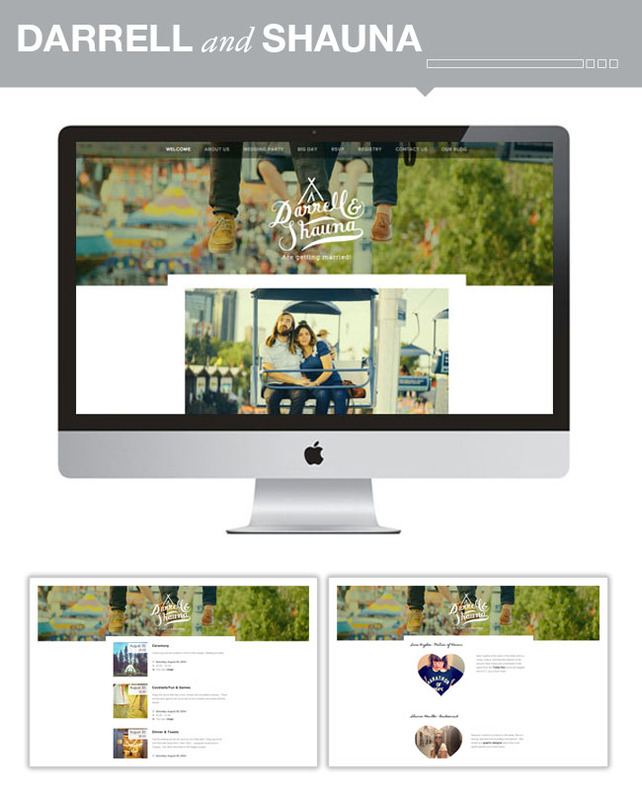 We’re happy to tell you that with Squarespace, you can! GWS: What is your favorite Squarespace feature or service? It’s so easy to drag text and images around. Customer service is really fast and helpful too. 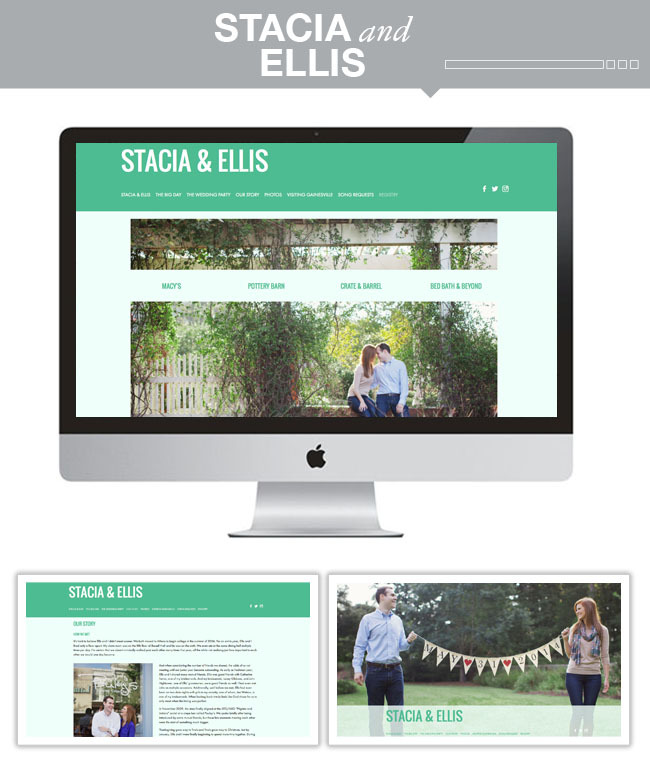 GWS: How did your wedding site most benefit your wedding guests? Wedding guests are able to RSVP online – so much better than mailing back their RSVP. They can also pick their meals and find out all the details about the day. GWS: After building and launching your wedding site, what’s your advice to new couples that will be using Squarespace to build their wedding sites? Send it out to a couple friends for testing. Make sure all the forms and pages are working properly before giving the link out to everyone. Use lots of big, pretty photos, and keep the information minimal. I think as an overall, my favorite aspect of Squarespace was how easy it was to fine tune a LOT of details to make everything tie together – especially since I had already designed a Save-the-Date that had a very particular look/feel. At the time I was designing THAT, I had a website in the back of my mind, but I didn’t think through my design with foresite of how I was going to tie the theme into a site. 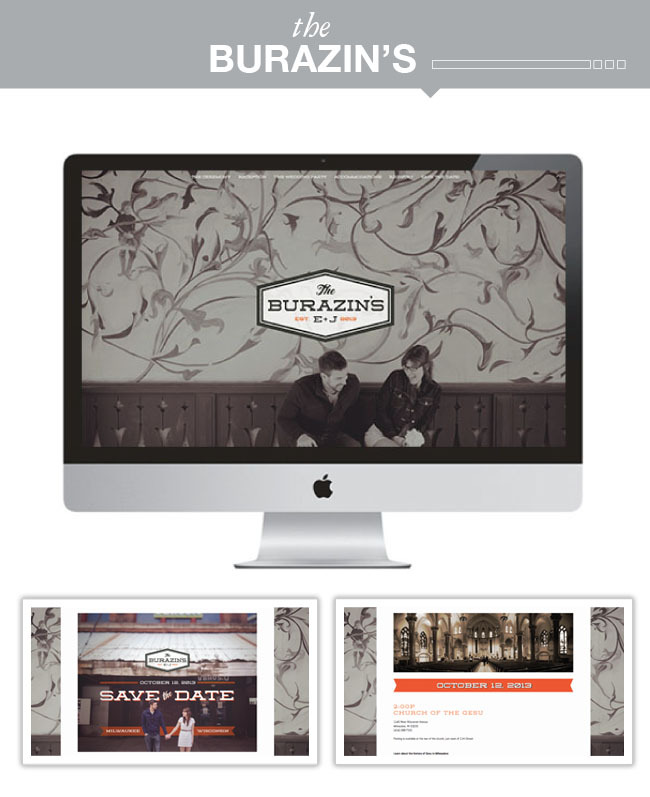 GWS: What did you use for design inspiration as you created your wedding site? We’d had a free engagement session through our photographer, and we had taken some great photos in some of the grungier/more historic-looking places around Milwaukee. I had designed a Save-the-Date that included some old letterpress-esque type and a custom logo that I had designed in place of the typical monogram. I knew I wanted that handcrafted vibe to carry through to the website. There was one photo in particular that had awesome negative space filled with a great hand-painted background that felt like an awesome wallpaper. Having my Save-the-Date already designed, I wanted everything to align. I was worried that would be more difficult, but I was able to find colors and web fonts within Squarespace that worked perfectly for a very consistent look and feel. GWS: How did you learn about Squarespace? I was already using Squarespace for my blog and portfolio + was loving it, so it was only natural to create our wedding website through Squarespace. Originally I think I had heard of it through a co-worker who was using it for her blog/portfolio. 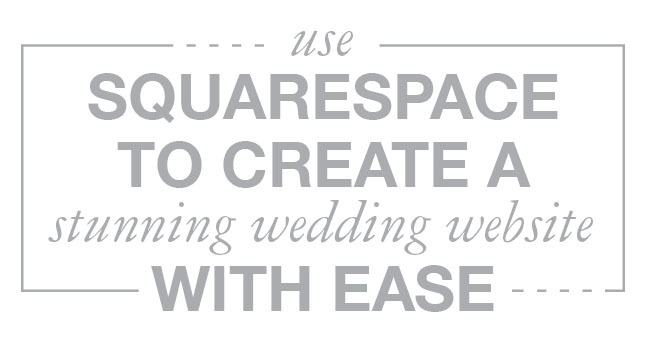 GWS: What made you decide to use Squarespace for your wedding site? Squarespace has a definite affinity towards design, which we loved. It is something we could both use and edit collaboratively and we were able to get our site up quickly, just in time for our save the dates to hit mailboxes. We’re not cookie-cutter people, so we wanted to avoid the cookie-cutter wedding sites. We wanted a unique platform to tell our story in a clear, visually powerful way. GWS: Did you receive any other feedback from your friends/family on your wedding site? We were surprised by the amount of positive feedback. People liked the site so much that many people (even people people who weren’t invited) asked how they could make one. GWS: Please describe your level of geekiness, or technical ability? We’re not technically gifted, but we were passionate about telling our story. Enthusiasm is far more important than technical know-how. 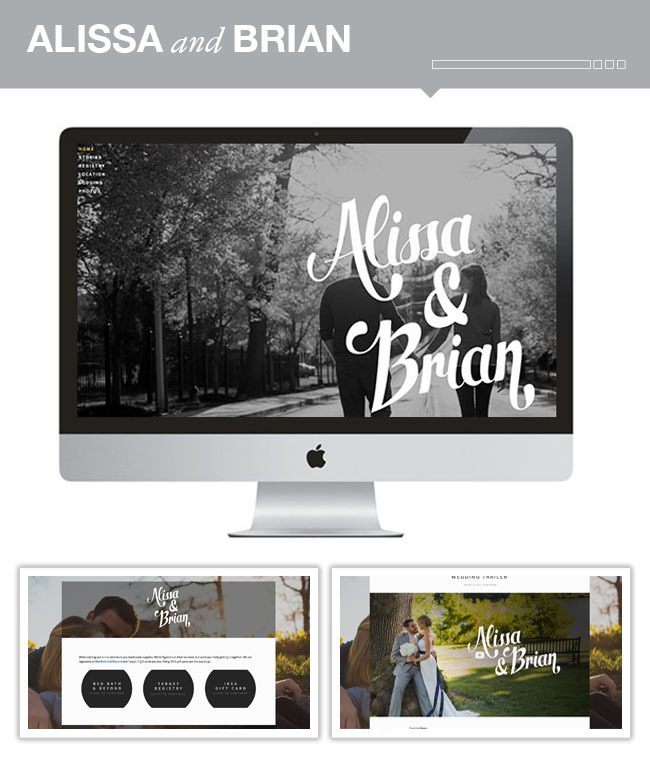 So if you’re a newly engaged couple + ready to start building your wedding website, or a wedding vendor looking to drum up business, be sure to check out Squarespace to create a stunning website with ease! And use code “GWS14” to receive 10% off a subscription! For those who have used wordpress.com and wordpress.org, as well as squarespace, how do you compare the two?